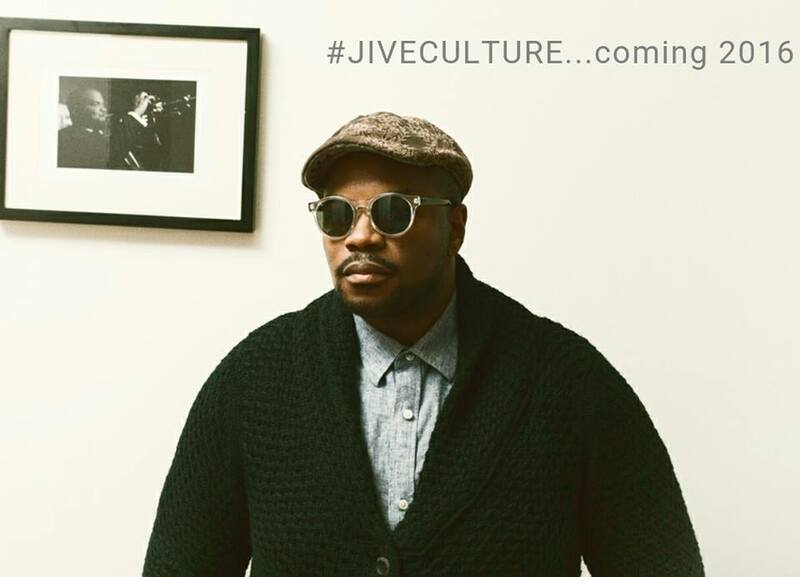 The pivotal track on “#Jiveculture,” an awkwardly titled but persuasive new album by the trumpeter Jeremy Pelt, is “Einbahnstrasse,” which you wouldn’t be wrong to call a ditty. Context is everything: The song was composed by Ron Carter, the redoubtable bassist, who has recorded it in the company of some exalted peers. But Mr. Pelt, leading a quartet anchored by Mr. Carter, sounds undistracted by legacy or history. He’s just here to eat the tune for breakfast. Mr. Pelt, who will turn 40 this year, has been a fierce and self-confident talent since his mid-20s. “#Jiveculture” is his seventh album on the HighNote label, and it comes on the heels of several smartly arranged experiments: bands with two drummers or elegant chamber embroidery or chiming electroacoustic effects. To the extent that the album has a concept, it’s simple chemistry — primarily with Mr. Carter, with whom he’s collaborating for the first time, but no less with Danny Grissett on piano and Billy Drummond on drums. Mr. Pelt has an intensely focused sound on trumpet, a warmblooded gleam. It’s hard to imagine his sounding much better than he does here on “Dream Dancing” and “Love Like Ours,” sashaying ballads from two different songbook eras, each also a platform for the cruising eloquence of his rhythm section. Those tunes appear, like “Einbahnstrasse,” on the front half of the album, under the heading Part I. (No plans have been announced for a vinyl release, but the tracks are organized as if with that format in mind.) The second half consists of four Pelt originals, in a post-bop dialect loosely traceable to the Miles Davis Quintet of the 1960s, which included Mr. Carter; “Desire” could almost pass for one of Wayne Shorter’s compositions for that band. 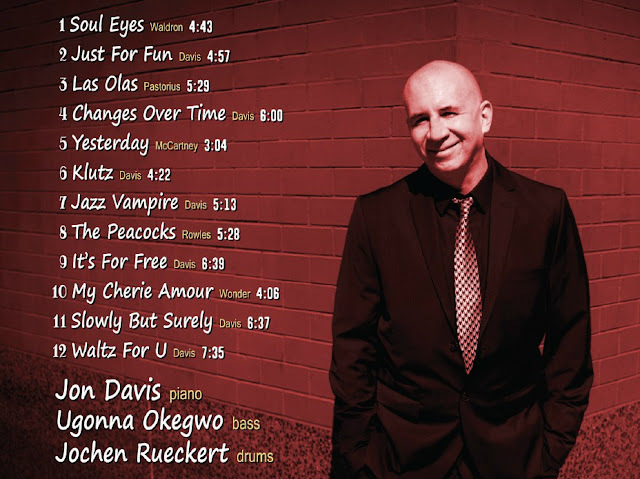 While there are no liner notes to accompany pianist Jon Davis' third date for the Posi-Tone imprint, there's a quote inside the package, attributed to author Anne Rice, that gets to the heart of the matter: "None of us really changes over time. We only become more fully what we are." So is personal evolution and growth an illusion? 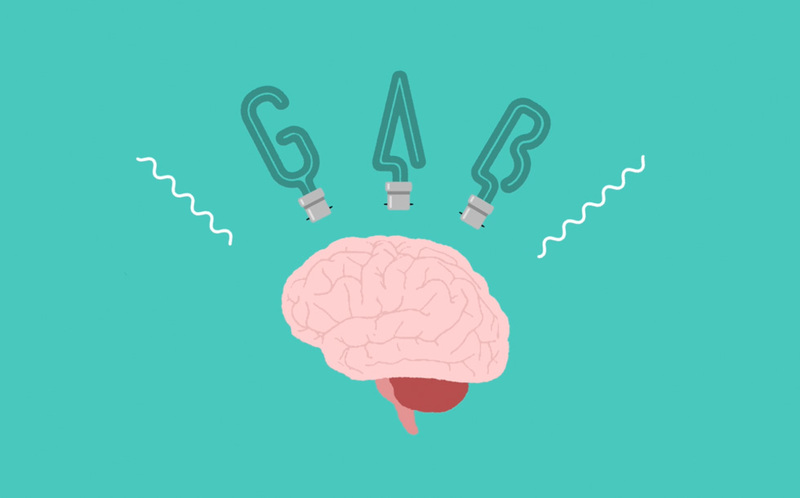 Is development a figment of the individual's imagination? Yes and no would be the correct answer(s). It really just comes down to perspective. 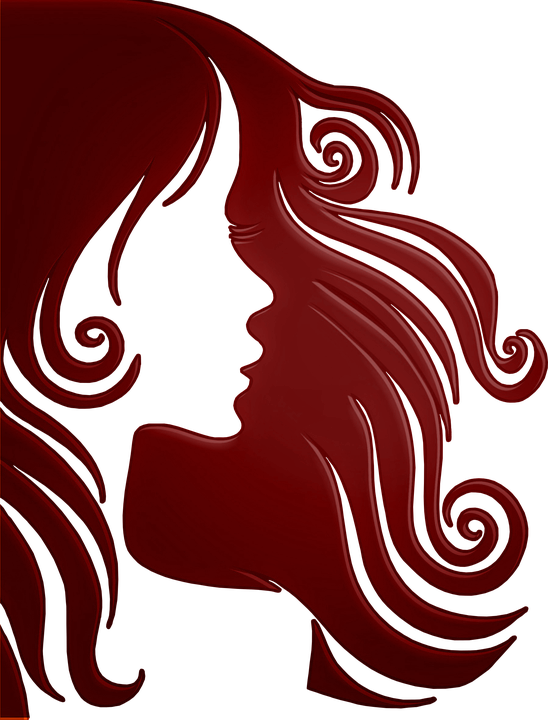 Plenty of people would say that deepening one's very being is change. Others would argue that change and self-actualization are two very different things. This writer's take? It's a semantics-based argument that's not worth having in this particular instance. Better to focus on the music than wax philosophical. Changes Over Time is a piano trio date that splits focus almost evenly between familiar covers and originals. 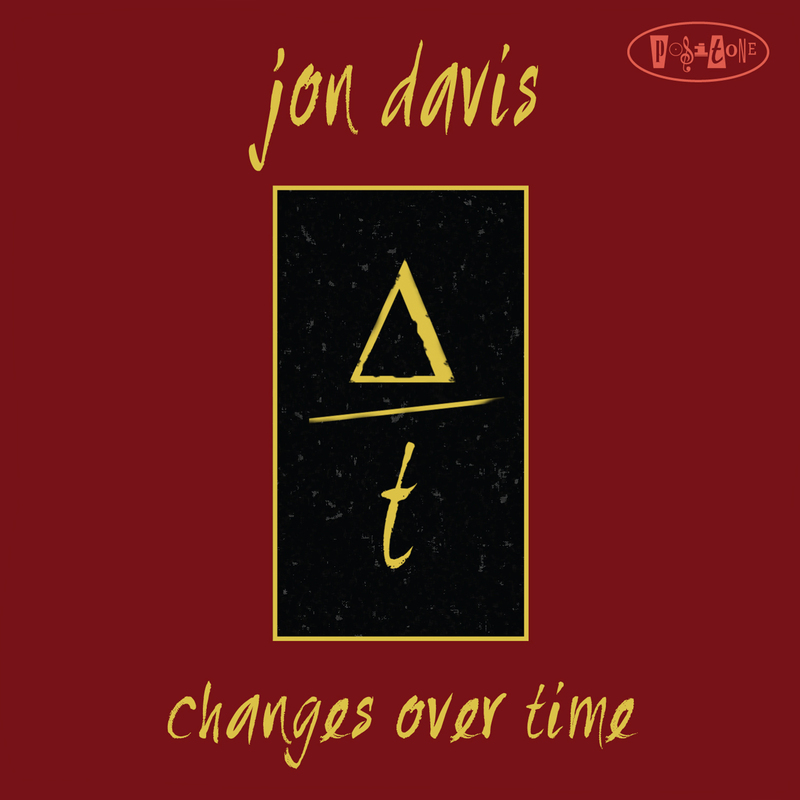 That's not such a novel concept for Davis, given the fact that the same exact thing can be said for One Up Front (Posi-Tone, 2013) and Moving Right Along (Posi-Tone, 2015). But who gives a damn about novel concepts if the music sounds this good?! 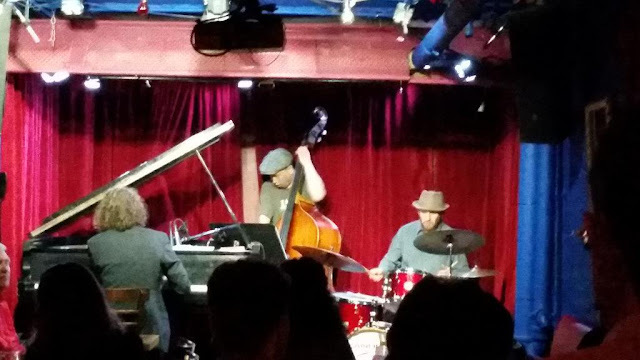 There's a level of comfort and sophistication in these performances that eludes most trios, and Davis, who already had it all together when he started his trio run with Posi-Tone, seems to be getting better and better with each date. Unità d'intenti, chiara visione di gioco, condiviso senso strategico sono tra gli elementi fondanti di un coeso ensemble che, non contraddicendone la quota di libertà individuale, conferma quanto sia stato già espresso nell'anarchica democrazia del free (ma ampiamente pescante in aree post-bop), cui il quintetto s'approccia azzardando un non-velleitario contributo in proprio, sotto la regia del giovane trombettista, piuttosto schivo nell'area mediatica ma intelligente presenza nello scenario del contemporaneo talento, abile nel motivare i partner e nel conferirne aerea libertà agli strumenti, di cui non si esita a destrutturare voce e fisica, senza snaturarli ai fini dell'espressione collettiva, non ancorata da soggezioni a doveri formali nei rispetti dell'àmbito. L'interessante canovaccio scrittorio posto in gioco lungo momenti quali Dekonstrukt o Pfrümmff! (già un programma a sé), si concede ampia espressione pittorica nell'eponima Pink Elephant, lasciando all'improvvisazione del collettivo non più di due delle dodici tracks, atte in più casi ad esporre la propria carica espressiva entro uno spazio di circa due minuti, stante l'esposizione concisa e sgombra da preamboli, toccata da ironica baldanza marziale, tracciata da forte tocco istintuale nonché garbato e diffuso spunto umoristico. Una vena lirica impregnata di gusto rappresentativo mitteleuropeo, non antitetica ad un vigoroso senso della propulsione ritmica (tonificata dalle operose tessiture della coppia formata da Bern Oezsevim e Mike Majkowski), appare dominante ma non esclusiva nella performance (in più momenti letterale tour-de-force) della triade di fiati tracciata dalla provocatoria sordina del trombone di Gerhard Gschlößl, dalle mai scontate prestazioni dell'urticante, fluviale sax alto della mercuriale Silke Eberhard, d'alterno passo alla squillante arguzia dell'ottone del titolare trombettista, che palesa d'aver fatto proprie più incarnazioni della tromba condensandole entro un brillante, personale mix linguistico. Utile, sempre godibile la lettura delle note, in tal caso a firma dell'arguta Eberhard (il cui senso dell'iperbole non è evidentemente confinato alla sfera esecutiva, e cui il titolare è legato dalla militanza nel dolphyano Potsa Lotsa trio), a sancire la qualità dei materiali abitualmente garantiti dalla vivace etichetta berlinese, dinamica piattaforma dei nomi forti e dei più promettenti talenti non solo della riunificata area germanica. Una ventata di fresca inventiva che toccherà più fasce di gusto almeno per la corrente dinamica e il senso dell'intelligente paradosso che anima le vedute di cinque dotati esponenti della più giovane generazione adulta di un operoso, ispirato euro-jazz. Vinnie Sperrazza is a Brooklyn-based jazz drummer. His first album as a bandleader and composer, Apocryphal, was released by Loyal Label on Tuesday, September 9, 2014. Originally from a small town south of Utica, New York, Vin moved to NYC a million years ago, just after the glaciers melted but before Tower Records closed. He's played lots and lots of good music with many amazing musicians, but he feels really self-conscious about dropping names and all that so he's just not going to do it, save mentioning the late great Mr. James Williams, pianist, with whom Vin played many memorable concerts. He feels incredibly lucky to have music in his life, to be able to work with great musicians, and to be able to present his music to an appreciative audience. He's in lots of bands, spent the summer of 2014 as an actor (he played a drummer- not much of a stretch), is on some cool records that have either just come out or will come out this year (Dana Lyn/Vincent D'Onofrio Slim Bone Head Volt, Jacob Garchik Ye Olde), and as of this writing, just got off the road with the band Hearing Things, led by Matt Bauder. 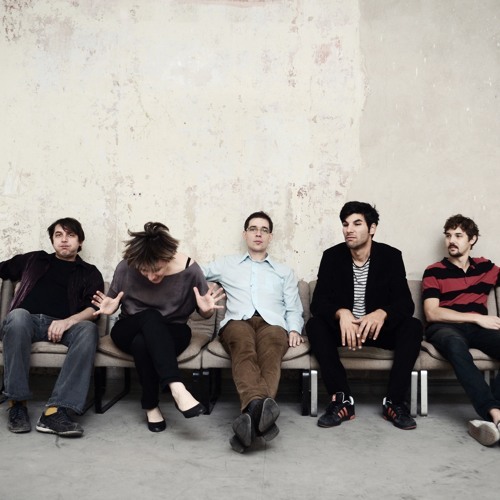 They were the opening band for Will Butler from Arcade Fire for a series of dates in the Midwest and Canada. 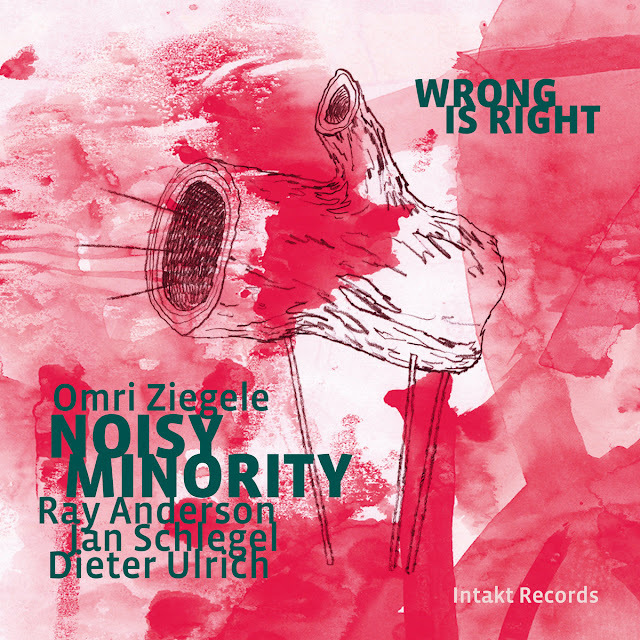 The Zürich trio Noisy Minority with New York tombone player Ray Anderson: Anderson is the outstanding trombonist of the American jazz scene, and Noisy Minority, Zurich saxophonist Omri Ziegele’s band, is known for its modern jazz with expressive power, drive and buoyancy. Bandleader Ziegele composed eight new pieces for the album “Wrong Is Right”. 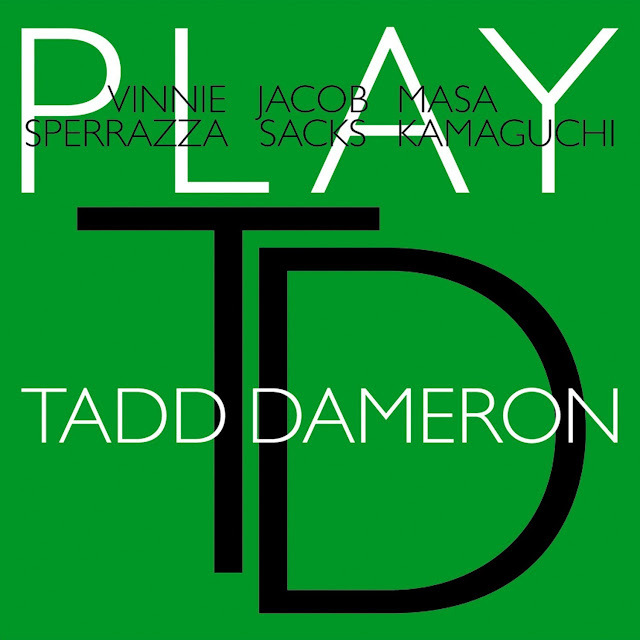 It’s a dare-devil ride in uneven grooves and rangy tunes with free improvisation and spontaneous arrangements, approached with a bold understanding of jazz and its tradition. 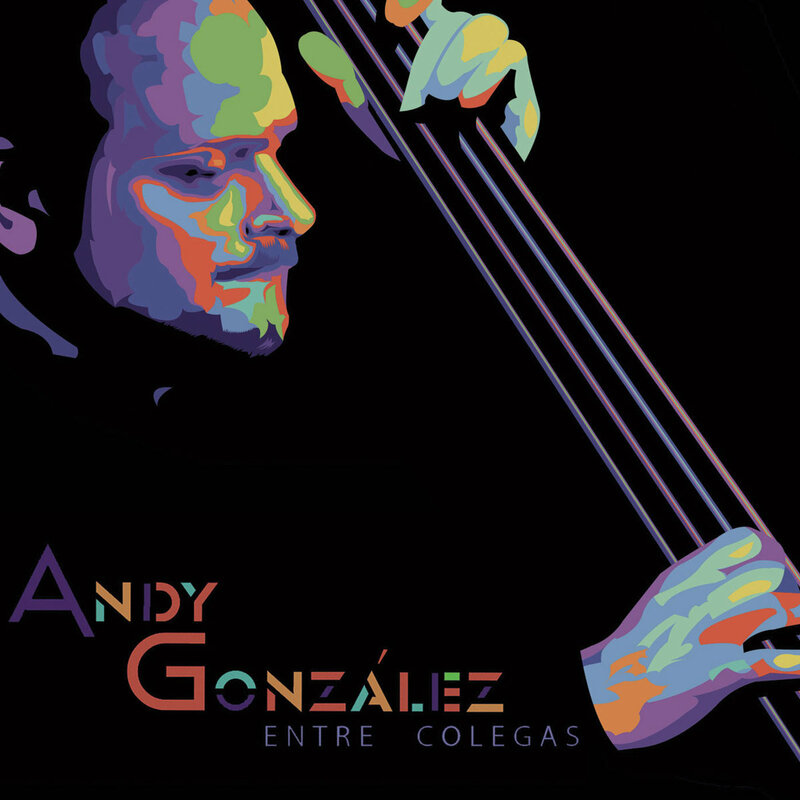 En una carrera que se extiende por casi 50 años y aproximadamente 1.000 grabaciones como un co-líder, director musical y acompañante, Andy González es sin duda uno de los bajistas más importantes de su generación, siendo a la vez la escuela de muchos bajistas de esta nueva generación salsera. Jakub Dolezal has been active musician since his fifteen, when he joined the folkrock band Kredo. 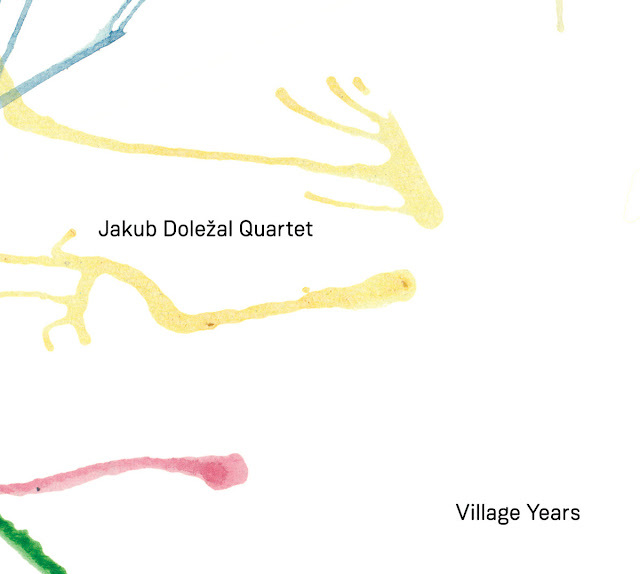 As some of his bandmates were also playing with legendary czech underground group Extempore, Jakub soon found himself gigging all around the Czech Republic, way beyond the borders of small region of Moravske Budejovice, where he comes from. Since 1995 until 1999 he was busy playing in several local bands and studying secondary school altogether. When he was nineteen he moved to Prague to study at Jaroslav Jezek's Conservatory. 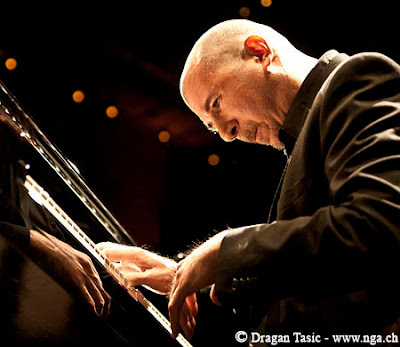 In 2003 he continued in his studies at Jaroslav Jezek Jazz College, where he graduated in 2006. He studied with S. Markovic, F. Kop, R. Fras, J. Honzak or D. Doruzka, to name a few. Since his arrival to Prague, Jakub was honoured with playing with some of the Czech top musicians and with membership in several closely watched projects. He was a member of a soul jazz organ combo Jan Korinek and Groove (with Czech legend Vladimir Guma Kulhanek on bass), that also served as a backing band for US blues singers. 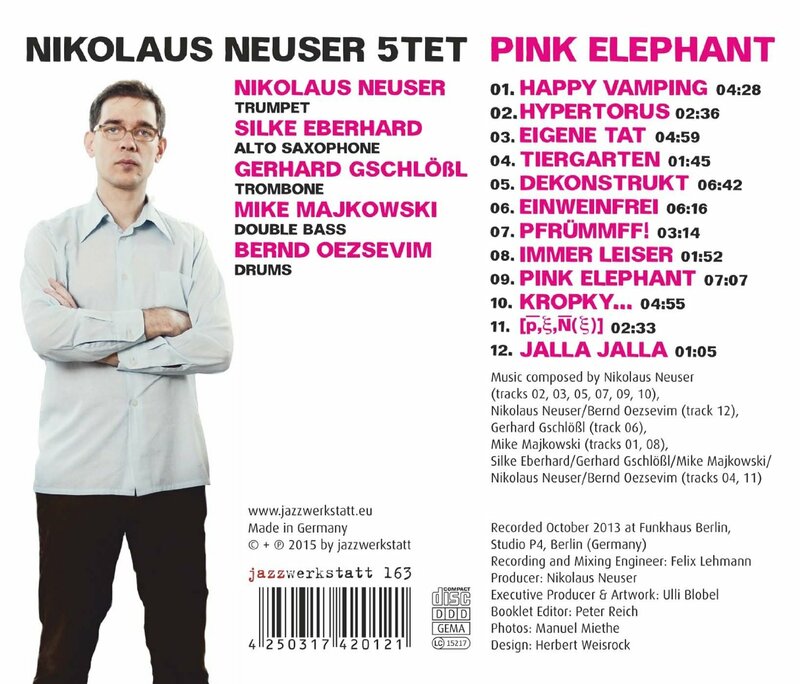 Jakub was also a member of a horn section of pop-funk group Zaha, which opened for James Brown's Prague concert in 2004. Jakub has been also active in rock field, he appears regularly with Czech Pink Floyd tribute shows “The Wall“ and „The Dark Side Of the Moon“ (where he also provides some minor keyboard, guitar and vocal parts). Jakub has been also a teacher of saxophone and improvisation on Summer Rock Workshop in Prachatice. In 2006 Jakub took part on european tour of an international bigband European Youth Jazz Orchestra, with Barry Forgie of BBC Bigband as a conductor. Jakub Dolezal is currently a member of jazz group Work In Progress, world-fusion band Benedikta and Ondrej Pivec's awarded Organic Quartet. Instruments: Tenor sax SML Alto sax SML Super 47 Soprano sax Keilwerth SX 90. 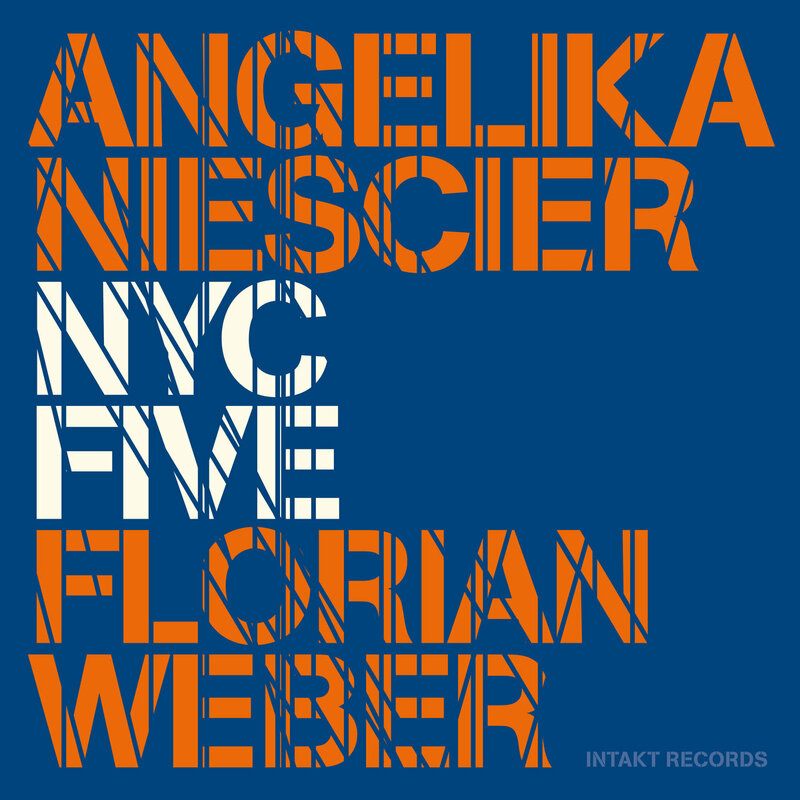 With their new album, alto player and bandleader Angelica Niescier and pianist and composer Florian Weber both from Cologne, Germany place themselves at the centre of the New York jazz scene. 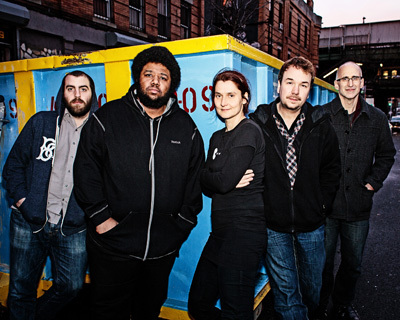 Their quintet NYC FIVE is completed by three jazz musicians in great demand in the “Big Apple”: trumpeter Ralph Alessi, bassplayer Christopher Tordini and drummer Tyshawn Sorey. The quintet plays highly contemporary jazz with original tunes, distinctive arrangments, complex rhythms and expressive improvisations. Laurence Donohue-Greene, editor at «The New York City Jazz Record» writes: "With this new dynamic quintet – Angelika, Florian, Ralph, Chris and Tyshawn present a unique aura of timelessness, as much influenced from decades past as about the present and future state of jazz, from New York and beyond." 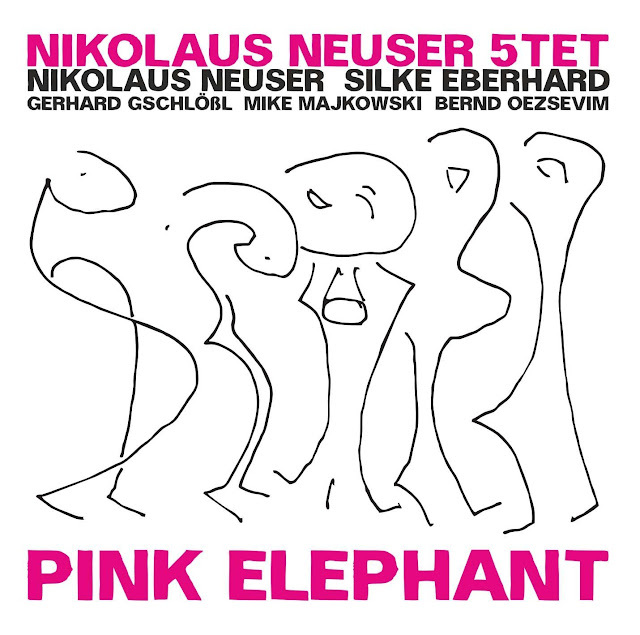 And: "Angelika’s distinctive tone shoots right through to the listener’s core." World’s Fair. Julian Lage’s first solo guitar album, is so spontaneous and intimate in feel it’s as if this prodigious guitarist had just arrived in your living room, picked up his vintage Martin, and simply started to play. 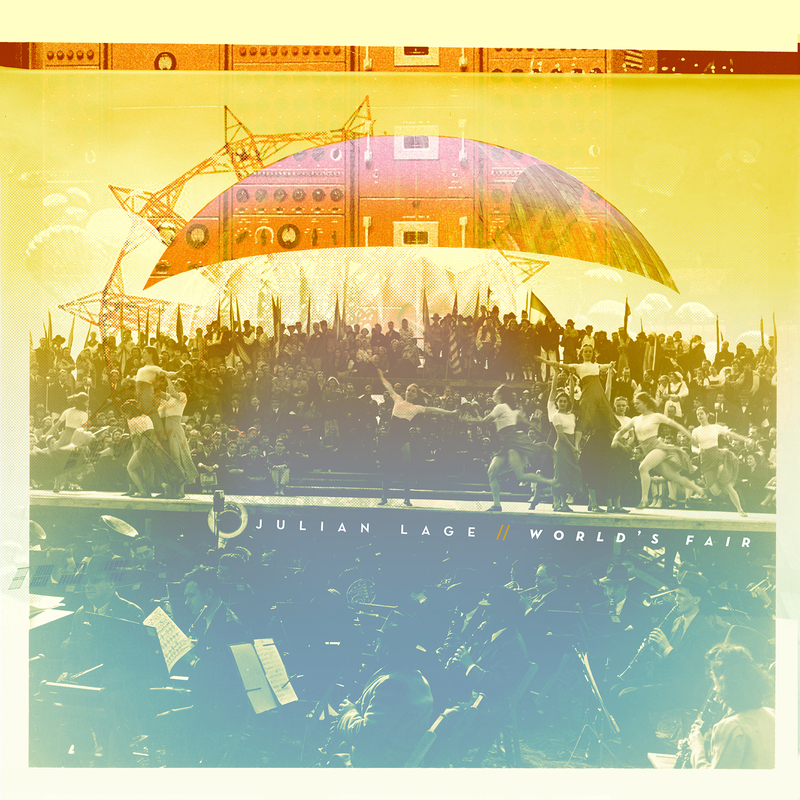 While conceiving of and recording World’s Fair, Lage was inspired by the orchestral approach to the guitar of the great Andres Segovia and by the music of the early 20th Century, of “jazz before be-bop. He found a similarly unbound spirit in the early seventies work of singer-songwriters like Randy Newman, who managed to incorporate a sophisticated range of ideas into the concise pop-song format. He was drawn, in other words, to sounds that were both challenging and pleasing -- work, much like his own, that defies easy categorization. As the New York Times has put it, the 26 year-old Lage is a an artist whose roots are “tangled in jazz, folk, classical and country music.” A child guitar prodigy, he was the subject of the 1997 Oscar-nominated documentary short, Jules at 8.; he made his first recording, with David Grisman, at the age of 11. His first recording as a leader, 2009’s Sounding Point, garnered a Grammy nomination as Best Contemporary Jazz Album. 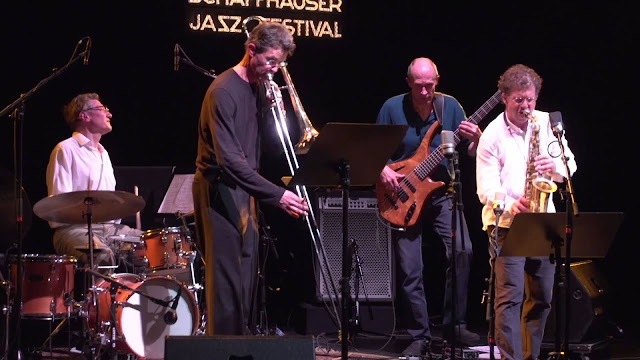 Up to now, collaboration has been essential to Lage’s process; he has toured and/or recorded with such artists as Gary Burton, Nels Cline, Fred Hersch, and Jim Hall, who was a major influence on the young Lage. His most recent project is Room, a live-in-the-studio exchange with experimental guitarist Cline. 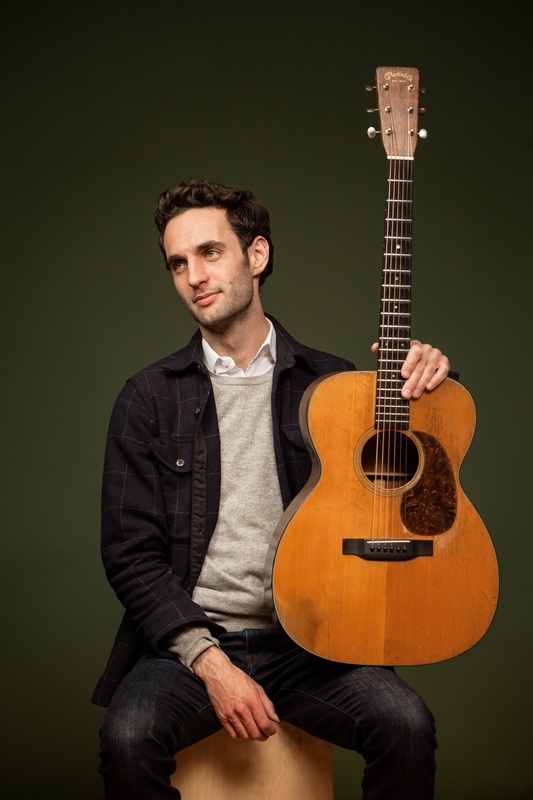 Earlier this year, he released Avalon, a duo recording with fellow guitarist Chris “Critter” Eldridge (of Punch Brothers) that surveyed the American Songbook with an easygoing virtuosity. 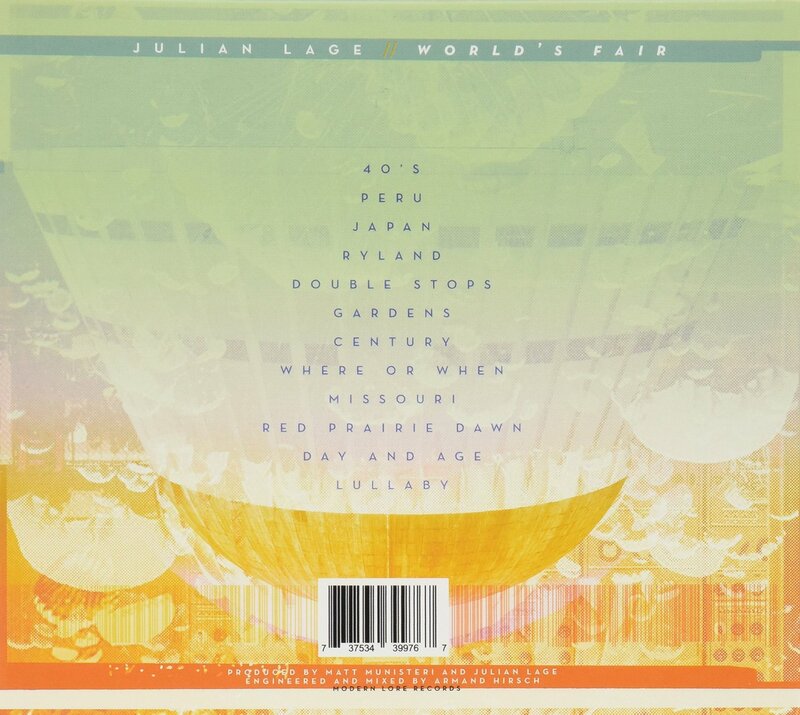 Recorded June 16-17, 2014 at Sear Sound in New York City, with the exception of "Double Stops" and "Where or When" which were recorded March 19, 2014 at Echo Mountain in Asheville, NC with Assistant Engineer, Jon Ashley. Mixed at Sterling Studios in NYC. At the heart of this admirable collection from pianist Clifford Lamb lies a pertinent question: Do we need another version of “Summertime”? George Gershwin’s classic American lullaby marries a mournful melody to comforting, slightly rueful lyrics; written in 1935, it has inspired more than 30,000 recordings, ranging across genres from blues to classical, in settings from solo voice to symphonic orchestra, comprising a rainbow of interpretations – which makes it all the more impressive to find a version that provides something different, as Lamb does here. His arrangement nods to the stormwind force of McCoy Tyner (whose music, along with that of Chick Corea and Herbie Hancock, lured Lamb to the jazz piano in the first place). But he has added a unique, juggernaut bass line, doubled by the redoubtable bass master Buster Williams; it finds its equal in Cindy Blackman Santana’s explosive drumming to shape a more urgent anthem for our own time, some 80 years after the song’s debut. 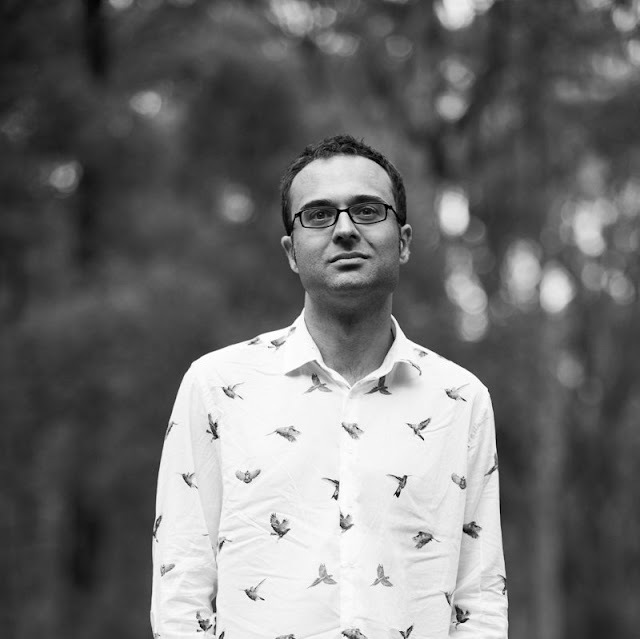 The lyrics to “Summertime” contain a measured optimism as well as a lurking unease; Lamb’s arrangement paints both conditions in stark relief. 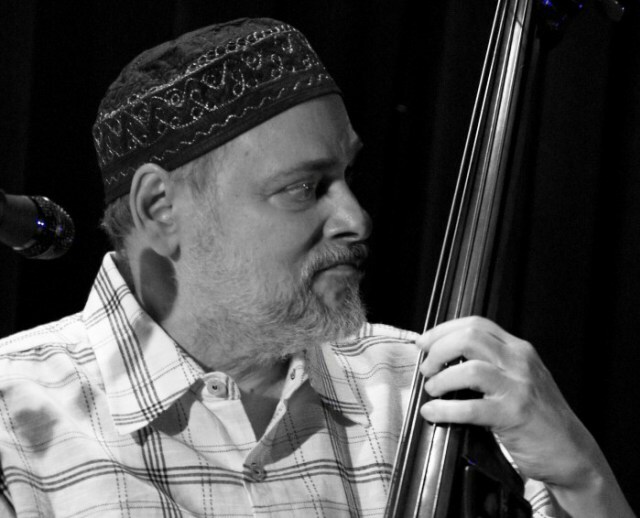 That bass line underscores Lamb’s approach to the piano, to jazz, and to music as a whole; he has studied the art of arranging since his college years at Berklee College of Music, and perfected it over the last decade, when he rededicated himself to music as a calling and a vocation. Lamb possesses superb technique, and the sure confidence to employ it only as needed on these tracks: no fireworks merely for fireworks’ sake. But it’s the arrangement of each song – the recasting of familiar works, through alterations in tempo, tonal color, and primarily harmony – that most distinguishes his approach, and he dedicates his technical prowess to that end. The question I mentioned at the start is answered by each of the other standards Lamb has undertaken. Sometimes it manifests itself in the grand scheme of a song, as in “Summertime” as well a couple of the solo-piano tracks here: the rubato “My Funny Valentine,” on which he weaves a two-part invention, and “People,” where the melody gradually coalesces from its pointilistic opening. Elsewhere, the art of arrangement reveals itself in a small but telling detail, such as the closing moments of “O Grande Amor.” Lamb’s rendition of this bossa nova icon brims with lovely subtleties, but to me, one stands out – the glittery right-hand arpeggio at the end. It’s a little flourish of the sort first used by classical composers of the 18th century and later adapted by jazz musicians as a light exclamation point to an arrangement. But where most artists would end the performance right there, Lamb sustains the underlying left-hand chord, allowing it to decay naturally and returning the listener, however briefly, to the song’s trademark mixture of bitter and sweet – what the Brazilians call saudade. What might have been a cute gimmick becomes, instead, a momentary burst of sunlight that brightens the melancholia without dispelling it altogether. Lamb also displays his sense of context – another aspect of the art of arrangement – on the two compositions he wrote; it shows up in the tempos he chooses, in the way he presents and reiterates his melodies, and in the ways he deploys his top-drawer collaborators. On the ballad “Martita,” named for a long-ago romance that, says Lamb, “taught me a great deal about life,” he splits the theme statement between piano and bass, spotlighting the dimensions of Williams’s lyrical, singing tone to convey the song’s depth of feeling. And the title track would be far the poorer without Blackman Santana’s remarkable balance of pummeling power and saving grace – a quality she also brings to “Smile,” arguably the most fully realized of these tracks in its fusion of all the elements at Lamb’s disposal. Bridges is the first in a series of what we may call “cameo collections” from Lamb – short albums of a half-dozen or so tunes, constituting a digital-age version of the vinyl era’s EP (Extended Play) releases, which will arrive a few times per year. Under the watchful gaze of veteran producer Jeff Weber, it was recorded live to two-tracks, meaning no post-production tweaks, no “fixes” to what took place in the studio, no splicing or dicing. 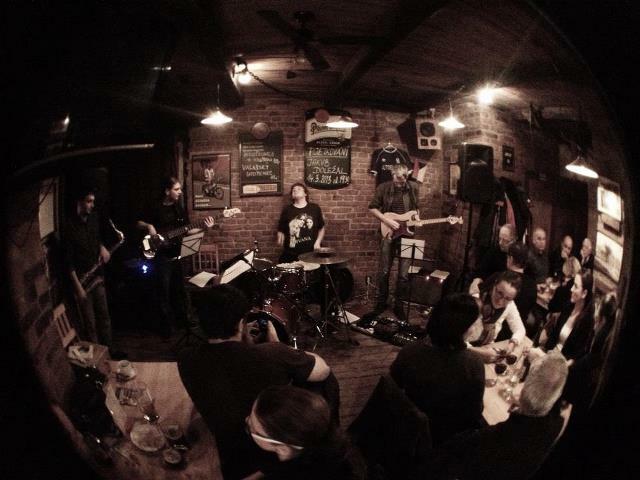 What you hear is what they played, which is something you’d only undertake with musicians of this caliber. The title Bridges represents the purpose underlying not only this collection but also Lamb’s goal for his music. In addition to the legendary older artists whose work he absorbed, these tracks “were cultivated by virtue of listening to some of the newer players – players like [pianists] Jason Moran and Gerald Clayton, [bassist] Ben Williams, [trumpeter] Christian Scott. . . . The idea was to take elements from the more traditional sources and connect them to where I saw some of the younger players were heading.” For many artists stuck in their ways, such a transit might be unimaginable. 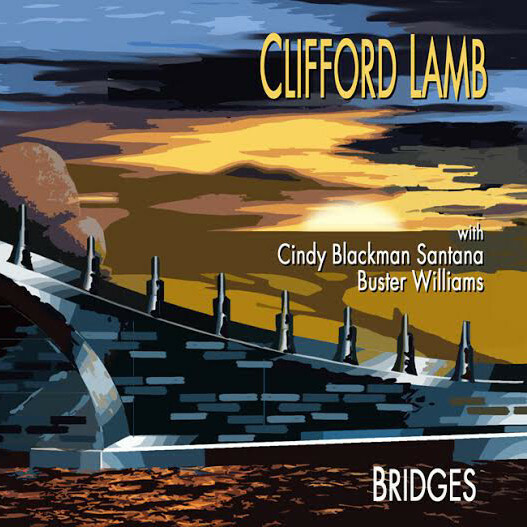 But thanks to Lamb’s well-grounded musicality, this bridge requires no suspension of disbelief. 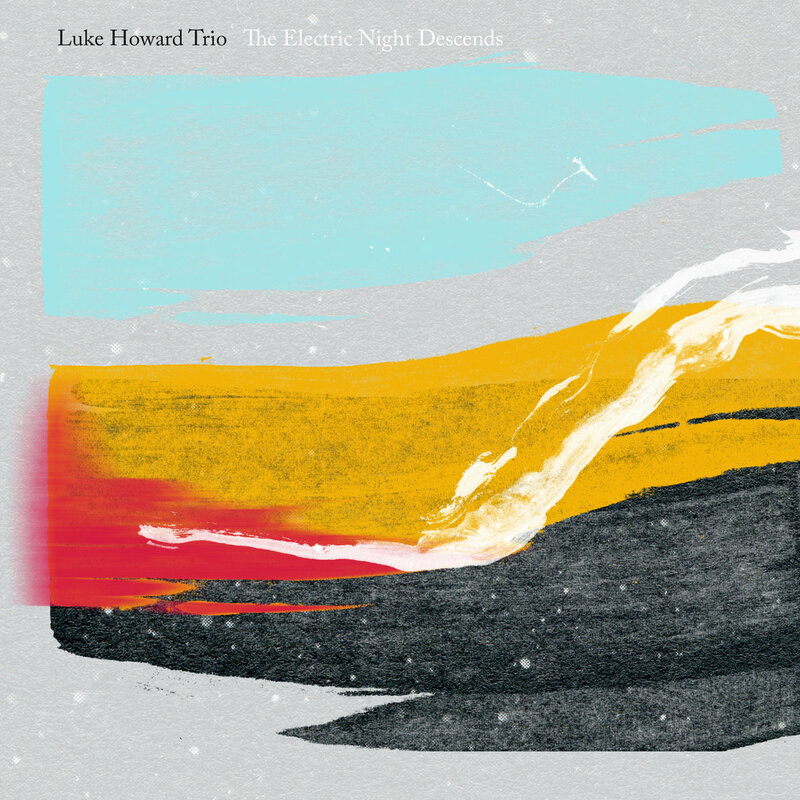 The Luke Howard Trio’s minimalist aesthetic blends elements of improvised and popular music, featuring compositions by both Luke and bassist Jonathan Zion. This is their third album.